Experience the proximity to lakes offering swimming and fishing. You will love the fact that nature and all it has to offer is just around the corner. There are many hiking trails in the surroundings where you may find mushrooms and wild berries, so bring a basket when you set off. 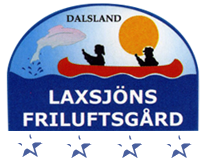 Dalsland has everything from shopping, festivals, horseback riding and much more. Our multitude of sports events attracts many to spend their holidays in various places in our region.